Ranker's Charge: Deliverance at Van Demon’s Deep is a book that came recommended to me as "Final Destination meets magic and mayhem in a mine rescue scenario" and that's a fair description. S.P. 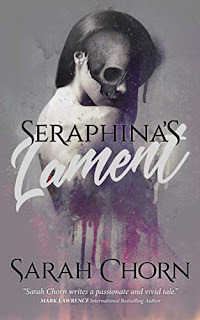 Stevens weaves a tale of monsters and magic in a fight for subterranean survival that manages to pack some interesting surprises into what is a tightly-plotted novella. 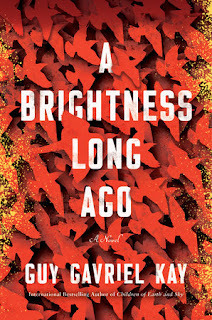 There is a hero we're rooting for, just one week away from retirement; a priest we're rooting against, both too pious and too corrupt; and a young boy we're uncertain about, a source of tension as well as a mystery. Ancient mines are always a great setting for fantasy, but Stevens ups the claustrophobic tension a few notches with cursed one-men known as the Unbound scrambling around like ravenous ghouls, lizard-like monsters in the depths, and the ever-increasing threat of suffocation as the army prepares to poison the entire complex. Despite all that, this is not a grim, hopeless tale of two men at each other's throats, but an exciting tale of heroism and escape. 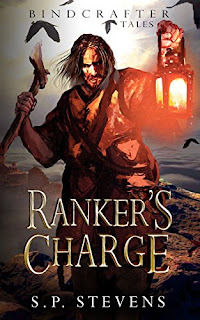 Clearly, there is a lot more to the world to discover, a lot of questions raised here for which there are no answers, but Ranker's Charge is a perfect first taste of the Bindcrafter Tales. 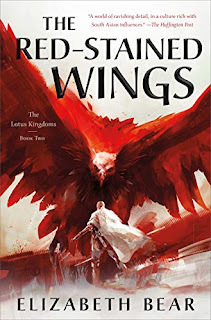 Disclaimer: I received a complimentary ARC of this title from the author. This does not in any way affect the honesty or sincerity of my review.